For 30 years, Margaret Hawkins' sister Barb lived cloistered in her family home in suburban Chicago, a prisoner of undiagnosed schizophrenia. Hearing voices and paralyzed with fear, she was never evaluated, never treated, and refused to leave the house. After Schizophrenia is the story of Barb's descent into severe mental illness and the healing that has come only in recent years: after her parents' death when Margaret became her guardian. With uncanny grace and humor, Margaret chronicles her family's struggle with Barb's mental illness, the love that carried them through, and the virtual army of healthcare angels willing to come to Barb's aid. This is an extraordinary story of severe mental illness and the healing that is possible with prompt diagnosis, good drugs, good care, and a fierce belief in the power to get well. "I was up all night reading After Schizophrenia. In writing this compelling and beautifully written book, Margaret Hawkins joins pioneers in truth, like John Nash of A Beautiful Mind, by opening another door on this strangely dark place and allowing the light of experience to shed understanding and compassion. After Schizophrenia gives hope to all. I loved this book and thank Margaret Hawkins for having the courage to write it, her family for living through it." "An outstanding tribute to the power of love and persistence." "An unflinching account of a family's struggle to come to terms with an adult child's severe mental illness and find hope and love on the other side. What is shows us, once again, is that most of what we think we know about mental illness is just plain wrong." "A beautifully crafted story of immense compassion and subtle humor that held me in thrall from the first page to the last." "A compelling family memoir, written with a deep understanding of the complex ties that bind us." 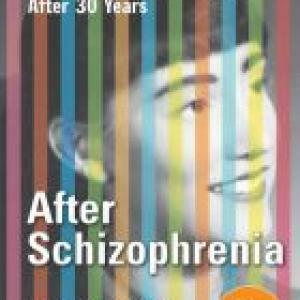 Psychiatrist Dr. Dolores Malispina interviews Margaret Hawkins on the occasion of the soft cover publication of After Schizophrenia: The Story of My Sister’s Reawakening After 30 Years. This last sement includes listeners calling in. For 30 years, Barb Hawkins lived confined in her parents' home, a prisoner of undiagnosed schizophrenia. Not until her sister gained guardianship did Barb get diagnosed for the mental disease which affects more than three million Americans, yet is treatable and still widely misunderstood. 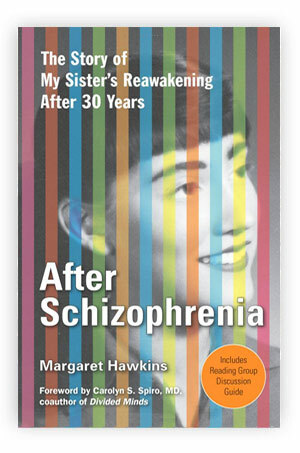 Margaret Hawkins discusses her memoir, After Schizophrenia: The Story of My Sister's Reawakening After 30 Years. Part 1 aired November 4, 2011. Part 2 of Bob Edwards' interview aired on November 4, 2011 on the occasion of the publication of Margaret Hawkins memoir, After Schizophrenia. 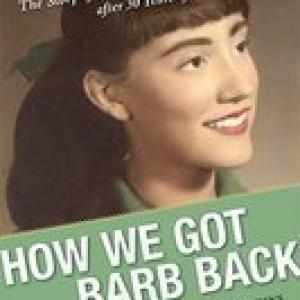 Psychiatrist Dr. Dolores Malispina interviews Margaret Hawkins on her memoir How We Got Barb Back: The Story of My Sister’s Reawakening After 30 Years of Schizophrenia published in September by Red Wheel / Weiser and available in independent bookstores, Borders, Barnes & Noble and at Amazon. 10 minute clip from a 1 hour interview.